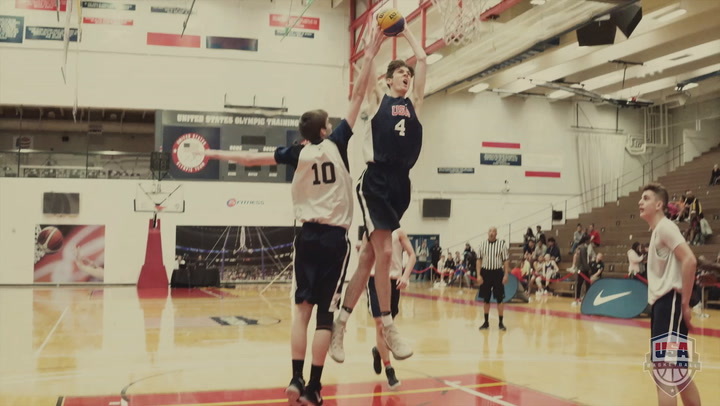 With 3x3 basketball making its Olympic debut in 2020, the sport is beginning to see rapid growth, as evident in the preparation for the 2019 USA Basketball 3x3 U18 National Championships, held at the U.S. Olympic Training Center in Colorado Springs, Colorado, this weekend. 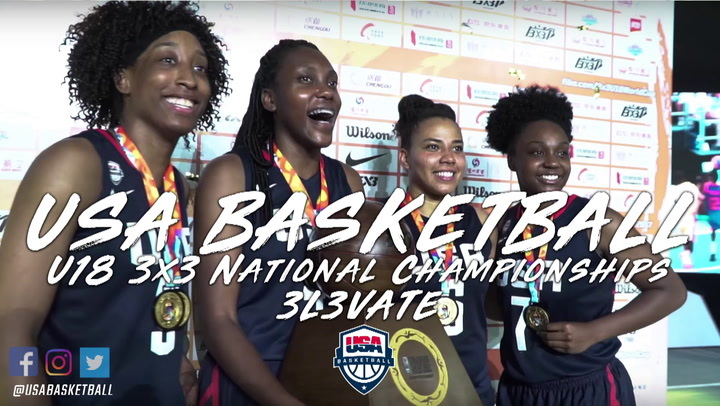 USA Basketball expects the U18 tournament, which in its seventh year, to be the most competitive yet, as athletes not only have an opportunity to win a national title, but also will be scouted and considered for the 2019 USA 3x3 U18 World Cup teams. Twenty-four teams — 12 women’s and 12 men’s — began competition on Saturday on the way to the national championship. Carson McCorkle, who is playing in his third 3x3 championship weekend, said he has seen the competition improve each year. 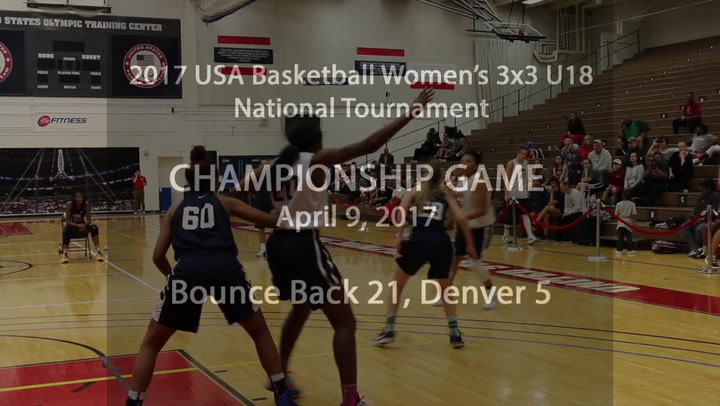 McCorkle traveled to Colorado Springs without a 3x3 team, and settled in with a group made up of players from across the nation. McCorkle, a junior, is a University of Virginia commit from Greensboro, North Carolina, and will play with Dudley Blackwell from Miramar, Florida, Kendall Brown from Cottage Grove, Minnesota, and Henry Coleman III from Richmond, Virginia, on Pursuit. Among the 12 women’s teams that have made the tournament, 10 players have signed or verbally committed to Division I programs, including four Stanford University prospects. Team Denver is comprised of three Colorado natives, Francesca Belibi (Aurora), Jana Van Gytenbeek (Greenwood Village) and Avery Vansickle (Castle Rock), plus a forward from Beaverton, Oregon, Cameron Brink. Van Gytenbeek and Brink, both juniors, will join Belibi, a senior, at Stanford. Belibi is a 2019 McDonald’s All-American who gained national recognition as the second woman to win the McDonald’s All-American Game dunk contest at the end of March. Belibi led her high school, Regis Jesuit, to the Colorado 5A semifinals in 2019, and last year to the state title game. But after years of playing traditional five-on-five basketball, she said she enjoys the freedom of 3x3. 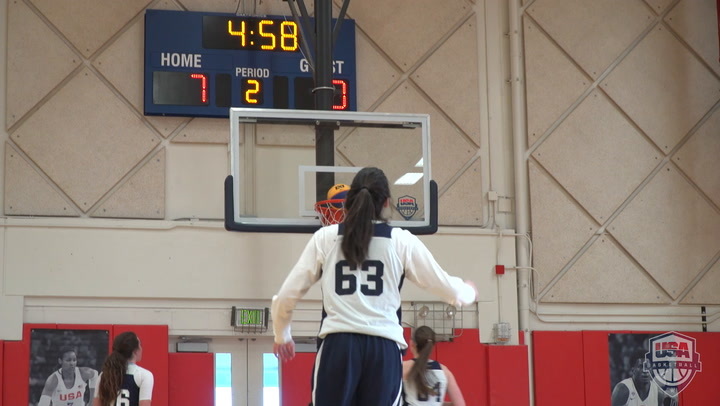 Haley Jones, another McDonald’s All-American and Stanford signee, will play on Quest with University of Notre Dame and University of Connecticut prospects Samantha Brunelle and Paige Bueckers, respectively. Belibi is looking forward to facing It’sJustWork, a team comprised of two McDonald’s All-Americans in Rickea Jackson (Mississippi State University signee) and Diamond Miller (University of Maryland). She is also hoping to play Quest throughout the weekend tournament. The 12 men’s teams feature two all-Colorado teams. One of the all-Colorado teams, Pluto, includes two players, Noah Baca of Monument and Rhaven Brown of Falcon, who grew up just miles from the United States Olympic Training Center. The men’s tournament also will feature two teams from Chicago, a team from Olympia, Washington; Philadelphia; Wilsonville, Oregon; and central Florida. 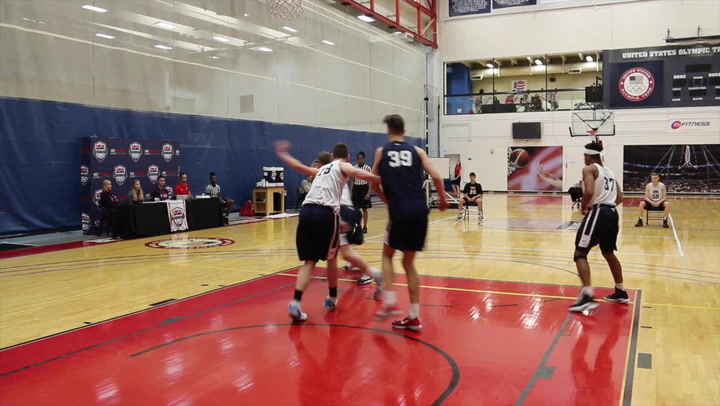 Team Denver and Quest, along with men’s teams Attack and Pursuit, joined USA Basketball to host a clinic on Friday for local youth players between 4th and 6th grade from a local outreach program, Hillside Connection. Led by Olympic gold medalist Kara Lawson, who helps coach and train the 3x3 U18 athletes leading up to the tournament, they taught the Hillside Connection kids the rules of 3x3 basketball and challenged them to a game. Preliminary rounds will begin Saturday morning at the USOTC in Sports Center 2, with knockout rounds following Sunday morning. The championships are scheduled for 1 p.m. (MDT) and 1:20 p.m. (MDT) for men’s and women’s respectively. The event is free to the public and the championship games will be streamed live online at usab.com/live. Lindsey Smith is a freelance contributor to USAB.com on behalf of Red Line Editorial, Inc.